The Denon DJ MCX4000 is versatile DJ controller with a compact footprint. 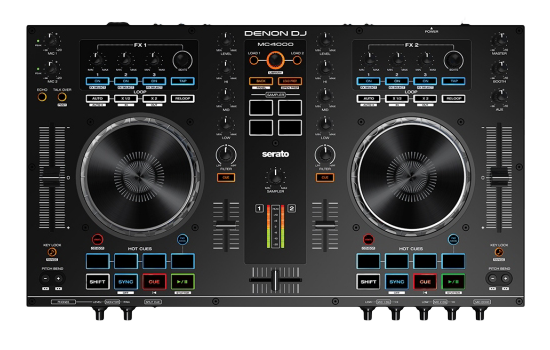 This article walks through how to get up and running with the Denon DJ MC4000 and Serato DJ. Connect the MC4000 to your Mac or PC. When you connect this unit to a computer for the first time or change USB connections on the computer, a message stating “Installing device driver software” may appear on the bottom right of the screen for Windows. Wait until the message “Your new hardware is installed and ready to use” appears. Your Mac OS computer should recognize the device and automatically install the drivers. Once the driver is installed, download and install Serato DJ using this link. When you open Serato DJ, the software will be on trial mode for 14 days. 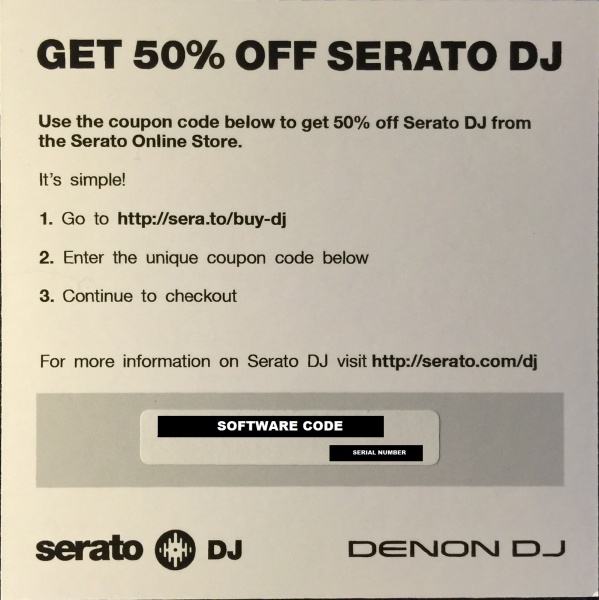 You will have to use your Get 50% Off Serato DJ Voucher card that came with your MC4000 to purchase Serato DJ at a discounted price. Your voucher card would look as below. NOTE: If you do not wish to purchase Serato DJ, you can use Serato DJ Intro - a limited version of the software. To download Serato DJ Intro, please refer to this link. Once the software is installed, the MC4000 is plug and play with Serato DJ and Serato DJ Intro. No additional mapping is needed. You are ready to start using your MC4000 with Serato!